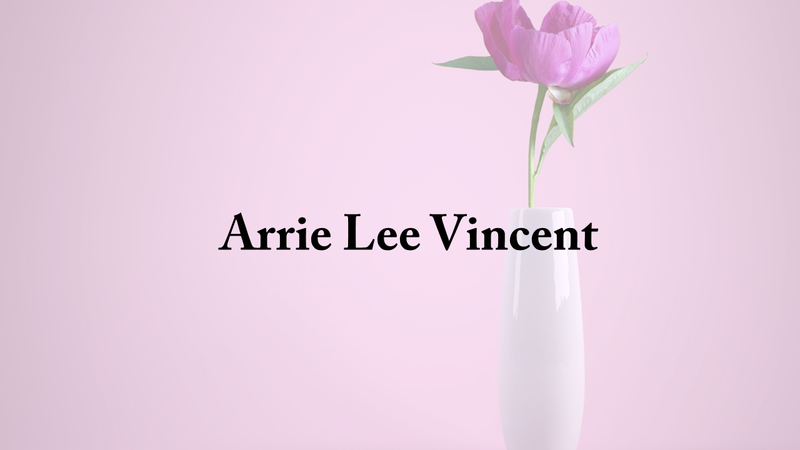 Arrie Lee Vincent, 95, of Cullman, Alabama entered into rest on Monday, Feb. 11, 2019 at her home. Mrs. Vincent was born on June 4, 1923. She believed in the Baptist faith, was a good wife, and a precious mother. Arrie was known as an artist, musician, and seamstress. Visitation will be held on Tuesday, Feb. 12, 2019 from 6 p.m. until 8 p.m. at Nichols Funeral Home Chapel in Addison, Alabama with services to follow on Wednesday, Feb. 13, 2019 at 2 p.m. Brother Anthony Clark will officiate. Arrie is survived by her son, Phillip Vincent; daughter, Regina Speegle and her husband Larry; sisters, Mavinee Bishop, Roxie Allen, and Ivanell (Council) Harrison; as well as a host of nieces and nephews. She was known as "MaMaw" to her grandchild, Angie Vincent. She was preceded in death by husband, Glenn Vincent; grandchildren, Clay Vincent, and Jamey Vincent; parents, Will and Ruby Hamrick; brothers, OThell, Orton, Hewitt, and Arnold Hamrick; and sister, Obera Knighten.